When Emlyn came to me in November, I knew hers was a dress to document. Not only did Emlyn have a great vision for her dress, but she was had a bun in the oven! By the time of her wedding, she was 5 months pregnant. I've never seen a more radiant bride. Emlyn started out with a wonderful concept- long sleeves, lace, high collar, not trying to hide her baby bump. 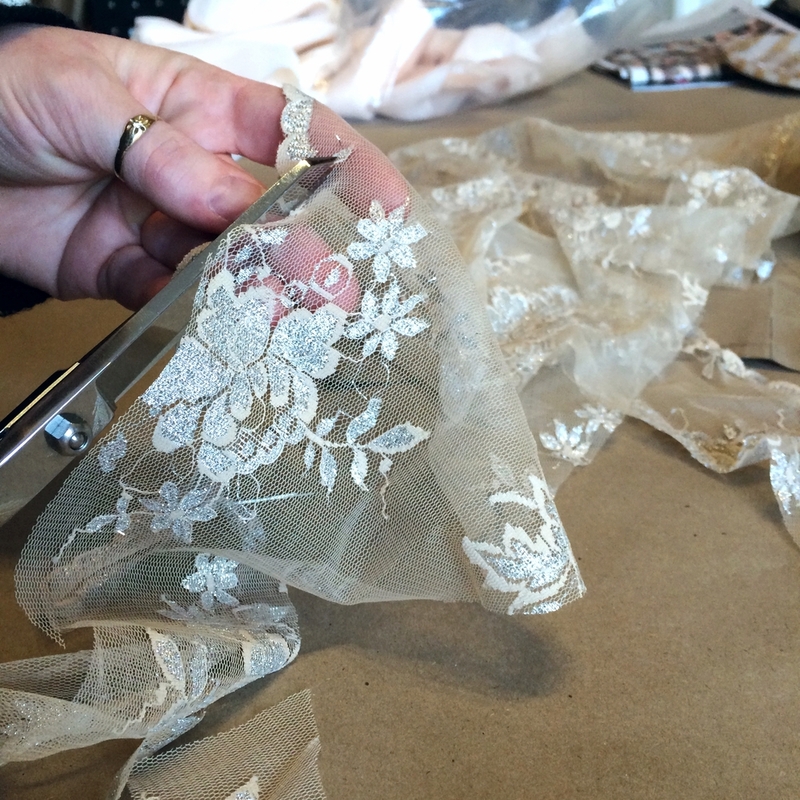 I started sketching, Mia pulled the perfect English lace- peachy white with a silver metallic motif. I'd had that lace for over a year! It was just waiting for Emlyn. I added a last minute sparkle ruffle to the collar, sleeves and underskirt, it needed that extra decadence. Plus a vintage shoe buckle! I am waiting with bated breath to see the wedding photos taken by the incredible Lindsay Hite of Readyluck. I will be sure to share them with you!